Some might even call you the de facto brand. So I am sure it would surprise you to learn that you have inadvertently excluded approximately 10% of the population immediately from using your product efficiently. Are you too established to adapt to change? 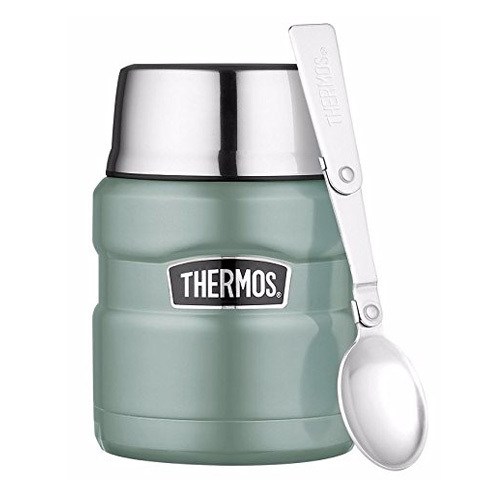 So you are; “Thermos”, THE go to company and brand for vacuum based flasks and products, and according to the website “Thermos has had the hottest and the coolest products since 1904” so that is a very long time to get things refined and right. Okay, where am I going, what is this major design floor I am talking about…? Who would have thought that a simple oversight in design has therefore excluded so many customers from being able to enjoy their product to its fullest? It’s the spoon, the spoon! However, with all of the millions spent on product design and research, Thermos still managed to forget about nearly 10% of the population because their testing was not fully diverse and inclusive in its thinking – not everybody was considered in its operation. Why? – Well the spoon simply does not work for Left Handed people or those that use a spoon in their left hand. The act of applying pressure with your left-hand index finger during the scoping and eating causes the spoon to bend at one of the joints. This makes it tricky and fiddly to use, as well as clumsy and potentially messy – not good ☹. I know this because I am a left-hander and soup eater! – Yet again I am “suffering” (ok – its a first world problem I know) as a minority in a world designed for the benefit of others! So, if a company, such as, Thermos is not fully inclusive in its design concept, how about your own business? Do you have a diversity of thought, opinion and experience to influence your own processes and brand? When you hear about Diversity and Inclusion as a driving force as a differentor, being able to develop to explore new markets, don’t forget your existing customers, staff and stakeholders that you are potentially already excluding by not thinking about them in your processes and products. Are you considering “everyone” in your processes and design?